Welcome to VMware vSphere 6.0 ESXi Host Storage Maximums test. What is the maximum number of Virtual Disks per Host? What is the maximum number of iSCSI LUNS per server? What is the total number of iSCSI paths on a server? What is the maximum number of paths to a LUN (software and hardware iSCSI)? What is the maximum number of software iSCSI targets? What is the maximum number of NFS mounts per host? What is the maximum number of Fibre Channel LUNs per host? What is the maximum size of Fibre Channel LUN? What is the maximum number of Fibre Channel LUN ID? What is the maximum number of paths to a Fibre Channel LUN? What is the maximum number of Fibre Channel paths on a server? What is the maximum number of HBAs of any type per host? What is the maximum number of HBA ports per host? What is the maximum number of Targets per HBA? What is the maximum number of software FCoE adapters? 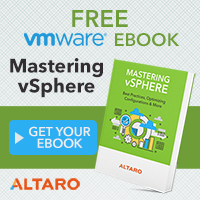 What is the maximum size of VMFS volume? 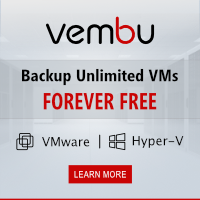 For VMFS3 volumes with 1 MB block size, the maximum volume size is 50 TB. What is the maximum number of volumes per host? What is the maximum number of hosts per volume? 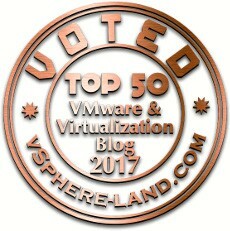 What is the maximum number of powered on virtual machines per VMFS volume? What is the maximum number concurrent vMotion operations per VMFS volume? What is the maximum size of Raw Device Mapping (virtual compatibility)? What is the maximum size of Raw Device Mapping (physical compatibility)? What is the block size of VMFS5 volume? 1MB is the default block size. Upgraded VMFS5 volumes inherit the VMFS3 block size value. What is the maximum file size on VMFS5? What is the maximum amount of files per VMFS5 volume? The amount of files is approximately. What is the maximum number of Data Virtual Volume Size? What is the maximum number of Virtual Volumes bound to a host? What is the maximum number of Protocol Endpoints per host? What is the maximum Storage Container size? What is the maximum number of Storage Container per host? What is the maximum outstanding Platform Extension I/O operations? The outstanding Platform Extension I/O operations is configurable up to 4096. What is the maximum number of configured Virtual Volume Storage Provider per host? What is the maximum number of configured VVol managed storage arrays per host?